“Welcome to the Mother City, Cape Town!” This is how I was greeted at the Cape Town International Airport after boarding a plane from cold Germany. I was excited to explore and get to know this vibrant and diverse city before starting my internship at Jenman African Safaris so my first couple of days were filled with multiple fun and active activities. Here are 5 of my highlights and recommendation for what to do in your initial days in Cape Town. The first thing I like to do when I arrive in a new city is to do a Walking Tour. It offers you a great opportunity to get an idea of the world you just stepped into and grasp a better understanding of your bearings. In Cape Town, there are different options available, but I decided to do a Historic City Tour. The highlights of the tour were visiting the Company Gardens, Parliament, the Castle of Good Hope and the Slave Lodge. 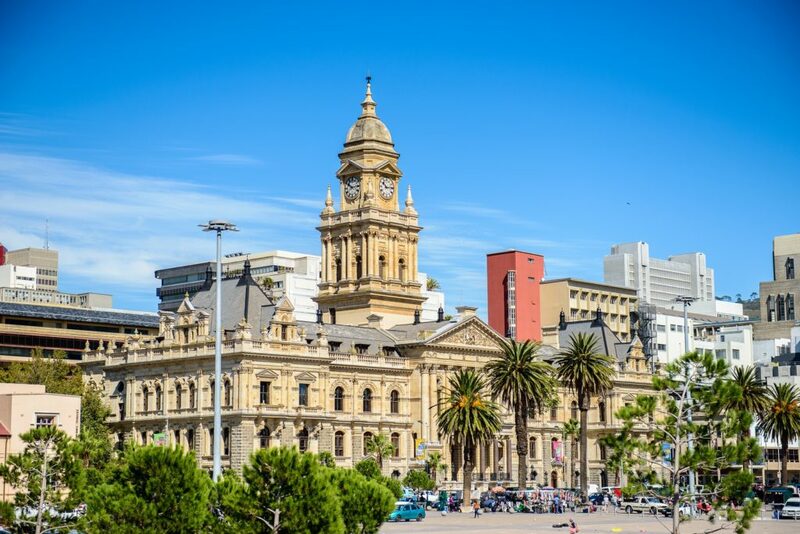 During the tour, our guide told us about the historical background of Cape Town and its buildings and the people that had shaped the city. All the sights are located within the city bowl, making it an easy and comfortable walk. Not a walker? Book a half day Cape Town City Cycling Tour to explore the sites and sounds of the city bowl. A not to be missed tourist attraction is the colourful neighbourhood of Bo-Kaap. This picturesque Cape Malay quarter is overflowing with culture, history and a colourful atmosphere. In the 1700s, Bo-Kaap was home to many people, mainly slaves and convicts from Malaysia, India and Sri Lanka who had been brought to the Cape by the Dutch. Bo-Kaap is home to the oldest mosque in South Africa, called the “Auwal Masjeed”. Many of the buildings are still owned by the original families. My highlight was the beautiful Chiappini Street, with its brightly painted houses. Being the most famous attraction in the city, Table Mountain was automatically on my “Cape Town To-Do List”. 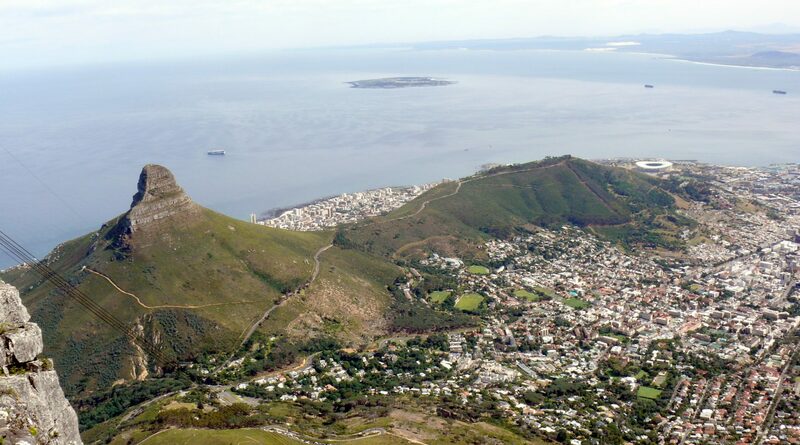 To experience Table Mountain, you can either take one of the many hiking trails to the top or hop on the cable car. If you have limited time, I would recommend taking the Cable Car. After waiting in a short queue, and a quick and fun ride up in the cable car, I stood on top of the mountain. And the view, spectacular! Providing a complete 360° view of Cape Town’s different suburbs, beaches and beautiful surroundings. From here, you can venture along the different hiking trails, abseil or just enjoy a meal at the restaurant. I could have stayed there for hours. Join our Table Mountain Hike to experience this Natural Wonder of the World. View of Lions Head from the Summit of Table Mountain. After running around the city for a couple of days, I decided to soak up the warmth of the African sun and visit one of the many beaches in Cape Town. 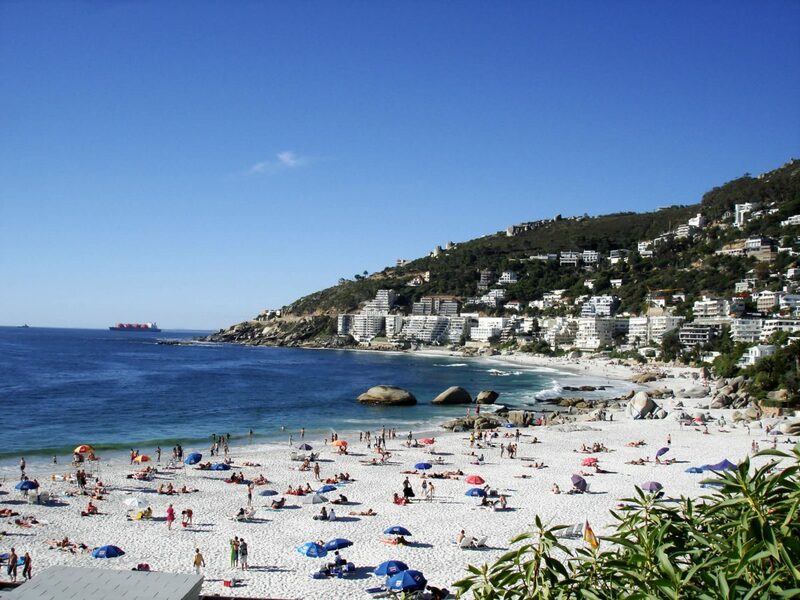 Clifton 3rd was my choice, one of the smallest of the four Clifton beaches, with Lions Head forming the background, crystal clear water ahead and sandy white beaches! With the beach alive with activity of people swimming, vendors offering “lollies to make you jolly” and yachts anchored in the bay, I soaked up the sun and enjoyed the views but couldn’t quite be persuaded into trying the icy water. Other beaches worth a visit: Muizenberg, Camps Bay, Clifton 4th, and Llandudno. 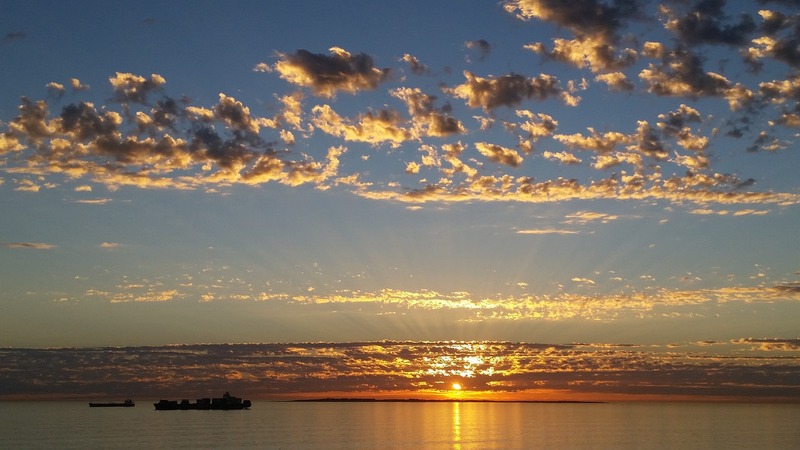 A great way to end off the day is to watch the sunset. I chose Signal Hill, just below Lions Head, arriving just in time. From the top of the hill, you can see the V&A Waterfront and Cape Town Stadium. Signal Hill is a popular spot as it offers the perfect view to see the sun disappearing below the horizon, making for perfect picture opportunities, as the orange hue is created by the turning on of the city lights. Make sure to take a blanket and picnic basket with snacks and drinks to really enjoy the atmosphere! How does Nelson Mandela relate to tourism in South Africa?